Directions: Cook the macaroni in a pot of lightly salted water until almost al dente (about 3 minutes before package directions state). Drain and set aside. In a small bowl, stir together the sour cream, egg, beer, and cornstarch until well combined. Set aside. Melt the butter in a large pot over medium heat. Sprinkle with flour and whisk until well combined. Add the beer mixture and bring to a mild simmer (do not boil). Add the cheese ¼ cup at a time, stirring until well combined between additions. Once all the cheese has been added, add the noodles into the sauce and simmer until sauce thickens and the noodles are cooked through, about 5 minutes. Stir in black pepper, smoked paprika, cayenne and salt. 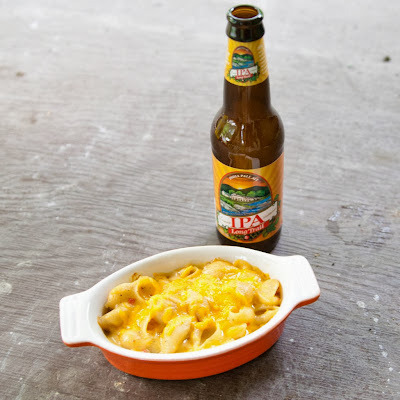 This recipe is SO good and is such a fun take on traditional mac and cheese. My tailgating tip - cook at home and then keep warm in your crockpot. 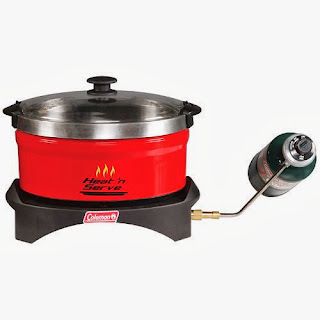 I should add that if your tailgate doesn't have a generator, this pot runs on propane. I have never made it without the egg. I suspect it's more of a binding agent. Let me know if you try it without it.